I would recommend Century Spice Road over Splendor to anyone. It’s is very similar and (from my plays) better if you are looking for a euro-y trade-em-up. Century Spice Road is a good game, but I strongly disagree with this statement. I am biased because Splendor is one on my favorite games of all time! That game is great and so freaking tough to beat. I’ve thought about doing a regularly scheduled D&D Spelljammer campaign. Each session would be self-contained “mission” like an episode of Star Trek and it would be easy for people to drop in and out with minimal interruption. damn how have I not heard of Spelljammer until now? sounds amazing! also, I have only a few evenings of experience with D&D, but had a blast and would love to play with lines folks in one way or another if it is a relatively beginner friendly thing, or at least if there are some suggestions on what to read/study to prepare. +1 for self-contained missions or whatever to allow flexibility - the need for everyone to show up every time is what killed my in-person D&D games. also, if anyone ever comes through Cleveland, Ohio, we’ve got at least two good board game bars: Side Quest and Tabletop. would be down to meet at either! Oh, man, Spelljammer. The biggest aesthetic opportunity that D&D keeps missing. It would have been flawless as a heavy-psych Technicolor magical-accident scene, but instead: polite fantasy art. Hive and Coup are both lots of fun. I introduced both games to some people over the weekend. Both games went down well. We played Coup with a standard deck of cards. No excuse to not give it a go! Got in some games of Arkham Horror: The Card Game. Still playing the older stuff (Night of the Zealot and Curse of the Rougarou) with a new player, but I’m hoping to start Carcosa soon. Such a good game. Edit: Totally skimmed over the recommendation for ogs! Looks great! Wow what a cool community lines is. So many cool interests! Has anyone here ever played any pyramid games? Its a set of peices made by Looney Labs which ended up becoming an open sourced game. There is a wiki with hundreds of games on it. I have a few printouts (~25 ) and have loved every game I have played so far! The games vary from easy party games to intense strategy games. This would be my desert island game. Catan is a classic for a reason. Its the game that introduced me to other games. My pal recently got me Tsuro which is a really cool game with simple but elegant rules. Another “open source” game I found online is called 1000 blank white cards. The only rule is if it is written on a card it is a rule. The more creative the group you play with is, the more fun it is! Really fun for inside jokes and you could easily import drinking game rules if that’s your thing. Low cost (2 bucks for some index cards) and always new! GO is a deep, deep hole. One could spend infinite kalapas (said to be about 1/46,656th the size of a particle of dust from a wheel of chariot) of lifetimes mastering GO. I recommend one of the many, many puzzle a day web sites, combined with any basic strategy book. I grew more from banging out a few puzzles a day than from playing many hours of games with people who knew no more than me. Love the game. A good partner is rare and beautiful. Thanks for such a thoughtful response! Puzzles it is. apparently there is a kickstarter for a bloodborne tabletop game? Anyone see that Eric Lang revealed Bloodborne: The Board Game during the Dice Tower panel at GenCon2018? I need more information! Tried to look this one up and came up with nothing. Can't wait to hear more details about it! 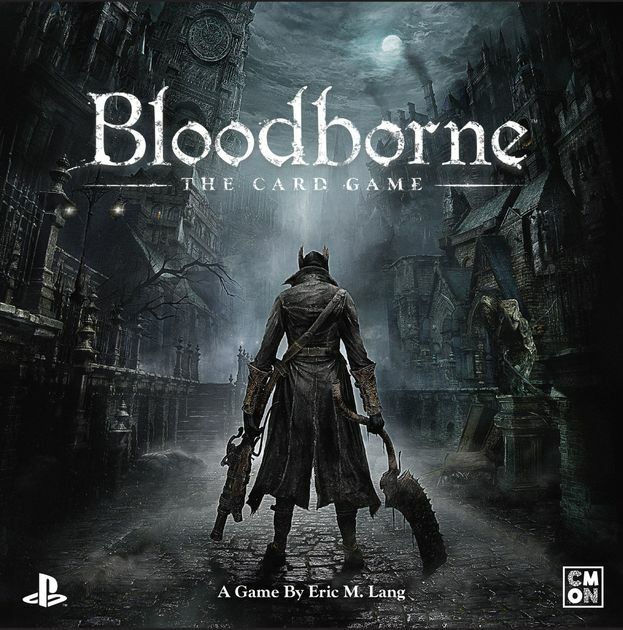 Bloodborne’s board game (and card game) have been out for a while. I haven’t played it myself, but it’s generally well liked and Eric Lang is a reliably good designer. It really depends on your learning style too. For some solving problems is the right path. For me solving them was only complementary to reading books. “Elementary GO Series” is a must! I’ve recently been playing quite a lot of Shadespire. I’m really enjoying it because it gives me the chance to paint models, something I really enjoyed as a child, and then use them to play an genuinely good game. Have any of you linesters played it? Do anyone of you also enjoy painting tiny plastic skeletons?? I enjoy model painting, and I’m intending to paint my Kingdom Death models. Most recently I was using something elses stuff; the downside is stocking up on paints and brushes is a tidy little expense. It’s a fun time though. I also play a lot of shadespire, but not really interested in the painting aspect. I just love a gw dice slinging game that I don’t need to sink much time or money into. If you enjoy more intense games, Twilight Struggle (Cold War game) and Squad Leader (WW2 tactics game) are cool. Kinda the last thing I expected to find on Lines! Squad Leader or ASL? These days Go is the only game I play regularly. My past was filled with Avalon Hill and SPI games. Panzer Leader, Hof Gap, Advanced Squad Leader, etc. Boy, the world was so much more fun when I had more time on my hands. Oh, and freshman year of high school started an 8-9 year deep dive into D&D. Any of the beginner books by Yutopian or IGS are good places to start. I got my start there and played 9x9 board games until I was brave enough to play on a full board. Of course the internets are FULL of information. YouTube videos abound! The basics are easy. The game play is hard. Think of it as tic tac toe but on a much larger board. Once you have a few games under your belt the Go Fundamentals books are a great way to go.